Standing amid the soldiers’ and civilians’ graves in the Confederate Cemetery on Washington Avenue is a simple, elegant marker with the name “Elder” etched across its face. To the casual observer, this tombstone would probably blend in with the rest of the surroundings, but the seasoned art enthusiast or historian would recognize it as the final resting place of one of the area’s most famous artists, John Adams Elder. Somehow, it seems fitting to find such a grave here because Fredericksburg has been a town known for two things: history and art. In fact, there are probably just as many visitors who journey to the Historic District each year in search of fine antiques and paintings as there are touring its hallowed battlefields and museums. Both groups would most likely be impressed with the historical contributions of the man named Elder. Born in Fredericksburg in 1833, this extremely gifted painter of landscapes, portraits, and historical vignettes grew to become one of the country’s most cherished artists. In 2007, for the first time since 1947, a retrospective of Elder’s work was on exhibition in his hometown. 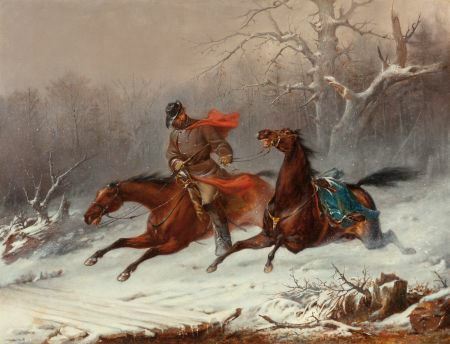 The show at the Fredericksburg Area Museum and Cultural Center was titled “John Adams Elder: Fredericksburg’s Artist of the Civil War” and featured numerous landscapes, portraits, and genre paintings of the war and life in the South. The exhibition introduced both locals and visitors alike to the remarkable assortment of works painted by Elder whose concentration on his subjects was evident. Painting represents only one side of this man, whose legacy is also that of a local citizen-soldier. Returning to the United States in 1856, he went back to New York, intent on refining his skills and establishing a reputation as an in-demand professional. In October of that year, the up-and-coming master had his first “showing” with a painting that was exhibited at the Richmond Mechanic Institute. Immediately, viewers recognized that there was something promising in this man’s work. Confident in his craft, Elder came back to his hometown in 1860 to pursue a career in the field of commissioned illustrations. After dedicating sixteen years to study, he had finally become a respected portrait and landscape artist. That plan changed in December of 1862, after Federal forces bombarded his beloved town in the early stages of the Battle of Fredericksburg, damaging his house in the process. 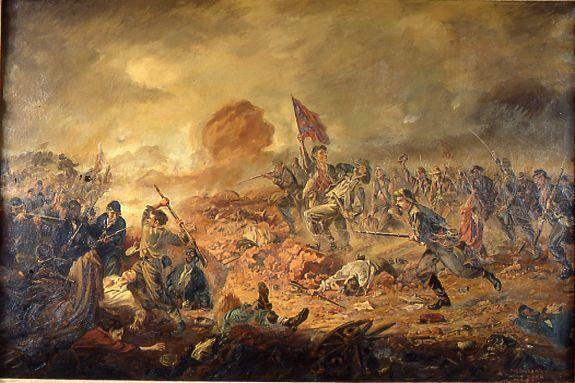 Outrage by the Federal army’s acts against his fellow civilians, Elder enlisted in the Confederate army and was later present at the pivotal Battle of the Crater in Petersburg. Despite the unpleasant memories of that encounter, he would later go on to create what is considered the definitive painting of the engagement. 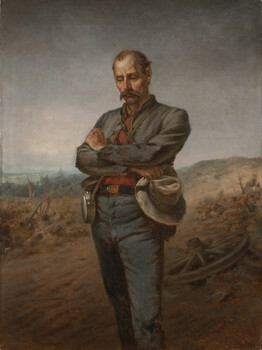 Following the surrender of the Confederate forces in April of 1865, the battle-weary artist returned to the area, working in Fredericksburg and Richmond. During the postwar period, Elder painted some of the most prominent men and women of the era. His works included portraits of Gens. 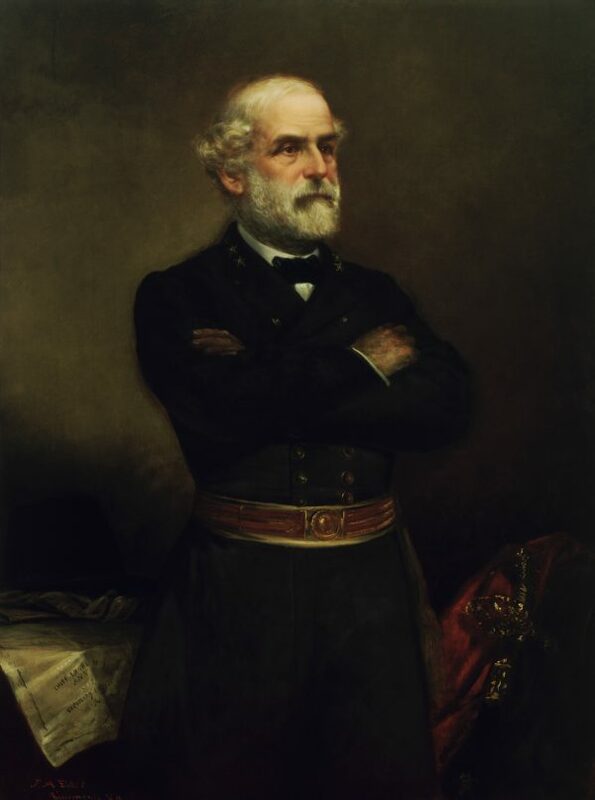 Robert E. Lee and Thomas J. “Stonewall” Jackson, as well as several statesmen and the former president of the Confederate States of America, Jefferson Davis. 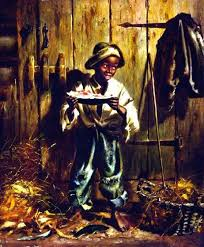 In addition to capturing the area’s elite on canvas, he also painted a plethora of endearing scenes of families and children, both white and black, living simple country life in the South. Ironically, this fortunate war veteran who had survived one of the most violent periods in American history, contracted a life-threatening case of malaria while painting a portrait of Jefferson Davis in Biloxi, Mississippi. Complications from the illness, compounded by his habit for alcohol abuse, rendered him virtually incapacitated for the last five years of his life. Today, the works of John Adams Elder remain the most coveted of pre- and post-Civil War portraiture. In the civilian pieces titled “Eating Watermelon” and “Catching the Hare,” Elder demonstrated what made his work so special. With tremendous attention to detail and an absolute command of light and shadow, the painter masterfully captured the innocence of two African-American boys simply doing what boys do. Yet in his formal portraiture, Elder was able to illustrate the stately side of his famous subjects without depicting them as distant or unapproachable. Elder’s legacy remains as one of the most celebrated artists ever to come out of the Civil War era. His works continue to elicit admiration from both the historic and artistic community. 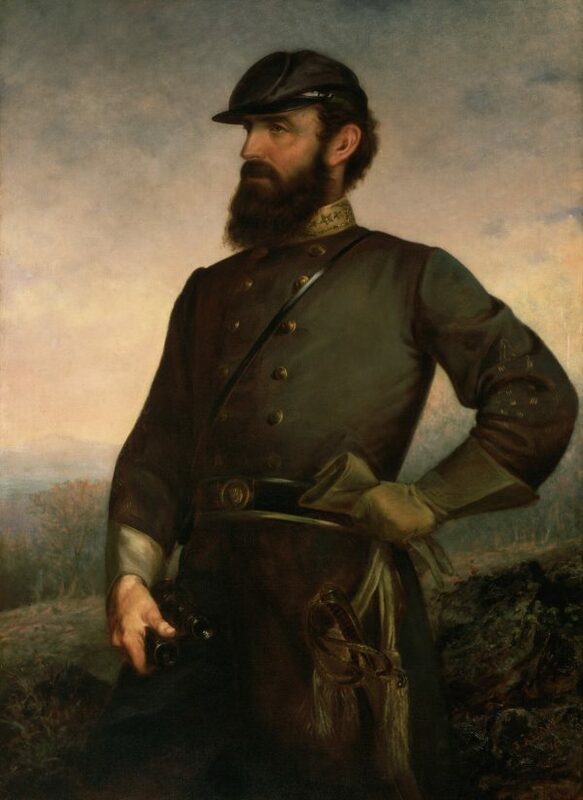 This entry was posted in Emerging Civil War and tagged art in europe, art in fredericksburg, Battle of Fredericksburg, Battle of the Crater, Civil War art, civil war artist, civil war paintings, emaneul leutze, Fredericksburg Confederate Cemetery, john elder, paintings, portraits, Portraiture, richmond mechanic institute. Bookmark the permalink. Going to head downtown and see that Display today. Mike. the exhibition was a temporary one as far as I know. I got those quotes a few years ago when doing a shorter version of this piece for the newspaper. You may want to call them first. And Museum only open Thursday-Monday. Luck of the Irish…??? ?